It won’t have escaped the attention of many parties that there’s increasing likelihood that a re-boot of Indiana Jones is on the cards – a reboot starring Chris Pratt and directed by Beard Spielberg himself. The idea of such a sacred franchise being remade without Harrison Ford would, in any other universe, have caused pandemonium. These days though, we’re so used to re-makes, re-boots and re-imaginings that it’s not much of a surprise. In fact, it’s cause for celebration. Why? So far Chris Pratt has proved to be a much likeable lead and the announcement of him as a possible replacement for Harrison Ford as Indy seems to make sense. But it’s not just that Pratt wins popularity contests. They say history just repeats itself and that life is a revolution and thankfully, after a lot of hollow attempts to inject re-makes with the formula that made their older counterparts successful, we might finally be getting a proper 80’s renaissance. Nothing eats scenery like a proper thespian and we’re proud to lay claim to two of the coolest; Sirs Cumberbatch and Hiddleston. Nothing beats a Brit playing the villain of the piece. 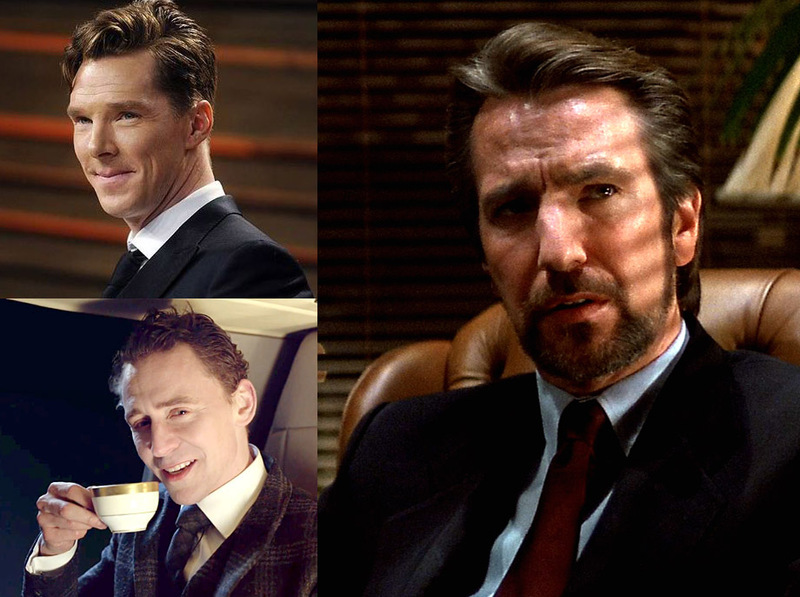 Cumbers and Hiddy come from a distinguished line of Brit baddies (Stephen Berkoff, Malcolm McDowell, Donald Pleasance, king of them all being Lord Rickman of Nakatomi. They’ve already played blinders in Star Trek: Into darkness and Avengers but I get the feeling the best is yet to come. Part of the magic of some 80’s films was the movie poster. Undisputed Grand Master of these was (and still is) Drew Struzan. They’re so lovely they make me want to weep. They transfer a lot of the passion and energy of the artist across and they only get better upon more detailed inspection. Artists like this aren’t just technically gifted; they nail the feel of the film and give a sense of “event” to the movie. Drew Struzan did that and now we have Paul Shipper. No-one captures the spirit of Struzan’s poster like Shipper. If Indiana Jones does get remade, surely Shipper should be given the chance to illustrate the poster. The 80’s had Tom Cruise. 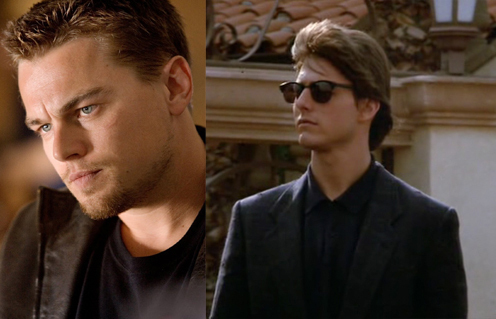 A charismatic, attractive young man making sure-footed choices leading to some great 80’s movies. We have Leonardo Dicaprio. A charismatic, attractive young man making sure-footed choices leading to some great post Noughties movies. And both, as yet, have yet to win that pesky Oscar. James Cameron is a collossus. He doesn’t belong to just one decade but he did shape the 80’s through The Terminator, Aliens and The Abyss. His work then was very accessible yet high concept, his movies made the most of special effects while using real characters to tell unbelieveable stories in a “real” way. Christopher Nolan does just the same today. Known now for his more cerebral, thinking-man’s blockbuster, I get the feeling Nolan is just getting started. Perhaps it’s just nostalgia that tints how I view the 80’s but when it comes to film, for me, the decade was about adventure. 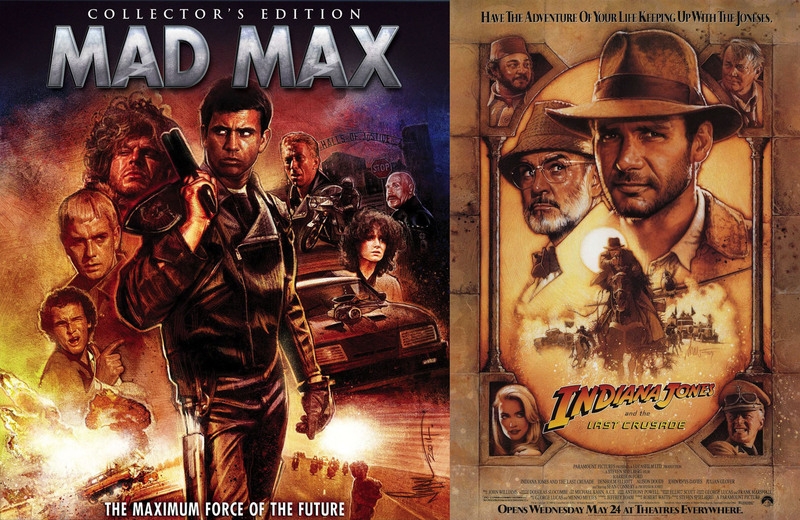 Indiana Jones, The Last Starfighter, Flight of the Navigator, The Goonies… But while adventure films were still being made, the magic had disappeared. Recently, it feels like it’s been found again. James Gunn wanted to create a film that evoked some of that 80’s spirit and he did just that. Gunn’s Guardians of the Galaxy and Joss Whedon’s Avengers have reminded us how much fun it is to go on an epic, colourful advenre. Equally we have the almighty Guillermo Del Toro and Peter Jackson who know how to craft larger than life movies that embed themselves into pop culture.